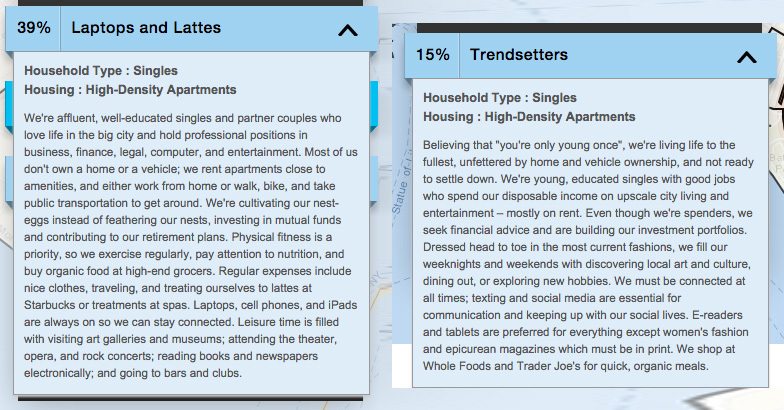 Want to know if you’re a trendsetter, a wannabe, or just a Joe Schmo in a glass condo? This new interactive map called the “Zip Lookup” will reveal to you that your life can pretty much be summed up in five digits. 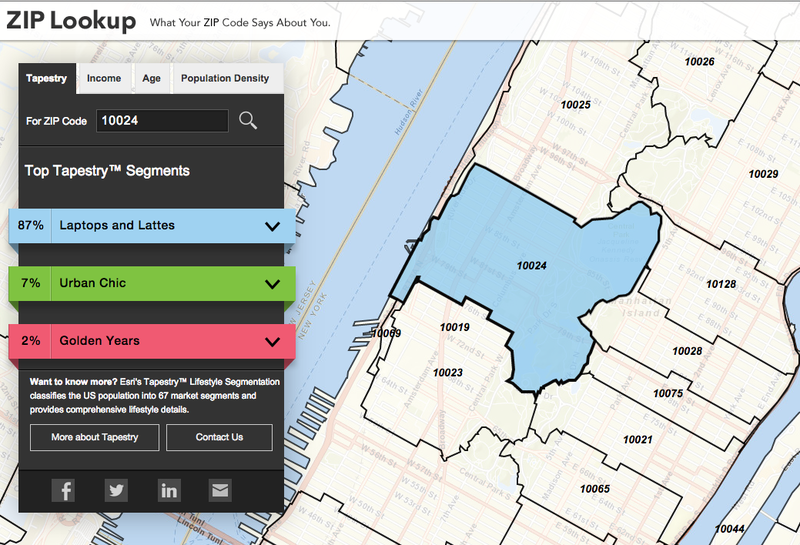 Created by ESRI, a geographic-information firm, Zip Lookup is eerily on point when it comes to figuring out an area’s demographics, culture, and daily habits. 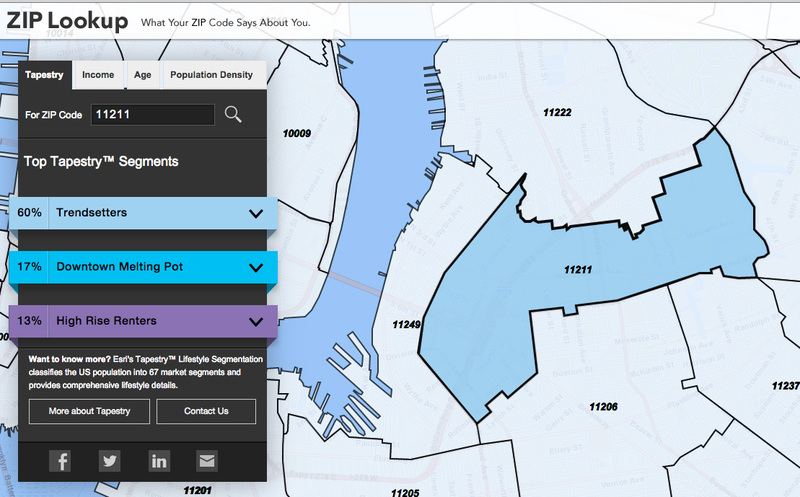 You can also search your zip to find out the average income in the area, how the population breaks down by age, and your neighborhood’s density. Have a look at your zip code here.